Disney Channel and Disney XD are gearing up for a new show called ‘Lab Rats‘ and are casting the pilot episode as well as the series. 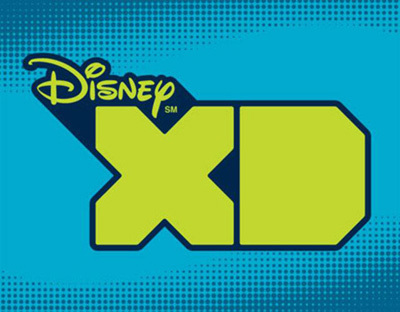 Disney XD and It’s a Laugh Productions have a new series and pilot in production. Lab Rats is a comedy series about Donald Davenport, an inventor who has created very high tech, bionic children for himself. The bionic children are Chase, Adam and Bree. The inventor also has a stepson named Leo. Leo his mom and wacky professor / inventor step dad all live together. Leo discovers his step dads bionic children in the basement and befriends them. The bionic children tell Leo they want a normal life and somehow convince him to take them to high school with him. The show is now filming and is casting extras and some speaking roles. The casting for Disney XD Lab Rats is in Los Angeles where most Disney shows are filmed. Hi, I would be perfect for this job. I’m 10, my height is 4.1, my weight is 62 pounds. I love lab rats and even though you won’t get this, I would still like you to look in to it. i’m Tamia Bass, I’m a girl who is 9 years old and I would really love to be on the show Lab Rats. Hi! My name is Emily Hou. I am 9 and in fourth grade. I have long, coffee colored hair. I live in California. I know how to sing, dance, play golf, skateboard, ski, play the violin, and do gymnastics. I think I should have this role in Lab Rats because I am pretty good at acting. I recently did a school play called Gold Dust or Bust and got an acting roll. I am smart and also I am positive when someone corrects something I do wrong. I am pretty good at memorizing lines, but you have to give me little time to remember them. I have always dreamed to be on Lab Rats and having a jump start for an acting career. I am also funny. (In my friends’ opinion) I’m creative and for some reason, my says I’m a “Drama Queen”. I know I might me too young to be an actress, but i hope you pick me! I am a beginning actor looking for a job. I have been a model for Audition America. I believe in my self and know I can make it as an actor. Why I want to become an actor is because I have always wanted to be an actor I also want to have a better life for my mom and brother. I love acting and love Disney. I have never went to Disney World but I want to. My name is siphelele jordan mxoli. I’m proudly south african. I like karate and something with superhuman stuff. I always wanted to be on lab rats, any script you give me won’t be a problem, please, guys give me a chance. I will never ever disappoint you, I promise you i’ll do my best. Hey, my name is Nur Adyani Mardhiah and my famous name is Dyanie Yanz. I an from Malaysia. And I want to act on Lab Rats because I love the story. I love lab rats, thanks. Hi, my name is Zakia, I’m 15 yr old girl. A great actor and dancer. If you are looking for an African (ghanaian) on your show then I’m available.thank you please reply. Hello my name is Jonas. I’m 13 years old and going for 14 years. I am 1. 40 cm in height. I know some martial arts, and I love cinematography. I am also a good musician. I play percussion cello and piano a little. I can learn by ear. My cousin is Zendaya Coleman and she’s been trying to hook me up, a little help plz!? I am Austin I am 13 years old. I am a boy. I love to act, I have been in a integrated arts class learning acting, music, dance, and art. And I really enjoy acting. I am Quan and I am 12 years old. I am a boy that is really into acting. 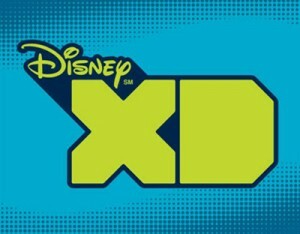 I like acting, disney xd is my favorite station on TV and labrat’s is my favorite show. I am also a committed person. Hi, I’m Ladonna and I live in Columbus Ohio. I’m 13 years old and I’m in choir. I love to sing and dance and make people laugh and smile. I’ve always wanted to be on t.v., ever since I was little and Selena Gomez is my role model. Could you please try to have a casting call somewhere in my area. Doesn’t have to be Columbus (Or even Ohio) just somewhere really close. I don’t want to put my grandmother into too much pressure because she knows how much I want this . I’m also a pretty good actor. I’m just a girl with a dream. Will you make it come true? Hi my name is Jordyn and I have brown hair with green-blue eyes. I can act, dance, and sing. I am 11 years old almost 12 and am 4-11 feet tall. I am a girl and my favorate show is lab rats. I love the whole cast and I feel like we would get along great. My name is Sara and I am 12 years old. I really love the show lab rats. I watch it like all the time. I really wanted to meet the cast. That was my dream so if you are giving one role for lab rats, I would love to be the one. Tell me where to go to audition and the set location. Hi, I’m Ketura and I’m 12 i’m turning 13 in September. I love Lab Rats because it is so funny. I love to act, sing and dance.This would be a great opportunity for me thank you. Hi im giovannie and im intrested in thiscasting call im 19 5″9 175 pounds I have light skin brown hair and brown eyes I live in lowell,MA please contact me. My name is Halle Rose i am 18 years old. I am 4ft 9in with a 6ft heart. Im ready to have fun and start my life. I am very energetic and my size allows me to portray a much younger looking person if need be. Lets get this show on the road and let me show you what I got ! heeyy, my name is Chloe, i’m 14 but most people say I look older, if you are interested in having me on the show then email, it doesn’t matter if you don’t think i’m the right peroson for this, I would just really LOVE to meet Selena Gomez, I know she has already been on the show before and I may not be from the USA im from the UK you see, but I can find a way to get on the show haha, if Selena doesn’t get on the show i’m fine with Miley Cyrus or even Demi Lovato but if I get picked it’s your choice out of those three people who I will get to meet if I get to be on your show, thanks again and remember to email me with details thank you so much !!! Hi my name is Blair. I am an athlete and have played softball and basketball my whole life. I would love to be on lab rats please let me be on the show. hi my name is Mary i am 11 years old i love to act it’s fun acting.i also love to dance hip-hop and hip dance my sister all ways think i can dance better than my friend. if i could be come a acuter i would do a show that have dancing and singing that’s my favorite ting to do. hi my name is Mary i am 11 years old i love to act it’s fun acting.i also love to dance hip-hop and hip dance my sister all ways think i can dance better than my friend. if i could be come a acuter i would do a show that have dancing and singing. hey my name is Kristen i am 14 years old, this show sounds like it would be a great show to watch, it sounds intresting,funny,and just a really fun show. 🙂 it would be an amazing opportunite to be on the show!!! Hi, my name is Hanna, my dream is to be a actress. I would love love to try out for this role, I’m 11yrs. old and I have done some modeling and would love to try some acting!!! hi,my name is alexandra (alli) i am 12 years old but ppl say i act older and look older. i would like to be on this show. also i dance,act And sing.and if you would like me for this show email. and if you need a headshot or more info about me just email me.